So I've tried to replicate the bugs that got mentioned with turn-based mode but I don't seem to be experiencing them. 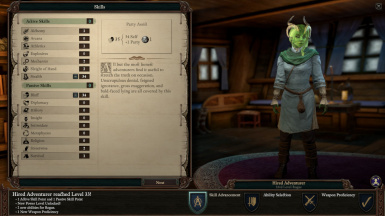 I levelled up my character to 27 and everything seemed to work just fine. The original upload of the mod had an error that got fixed when I uploaded another version on January 17th, and I'm wondering if that error might be what's causing problems. If the mod doesn't seem to be working with turn-based mode and you downloaded it before January 17th, try downloading it again and see if it works. Can we please get an update for turn based mode? I tried it with 4.1 patch in turn based mode and it doesn't work. 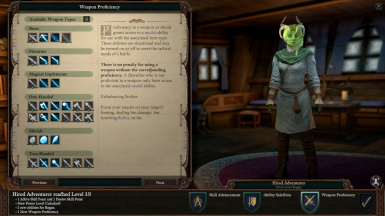 It reverts from turn based to RTWP if this mod is installed. Here it simple did not work at all :(. ETITED2: It worked now. I was dumb. BUT not on turn based mode. I will soon use it as I am lvl 17 and I have to do the 2 story dlcs and finish the main game. I want to progress as the game does, and after the lvl 20. So should I use the purist version as I understood it follows the rules of the game like from lvl 1 to lvl 20 ? The purist version would be the one for you, yes. With that one, everything before level 20 stays the same. The other version makes a couple of little changes. If you've downloaded it already, please delete it and download again, as there was a bug that's now fixed! Which files need to be in the folder exactly? I extracted the "levelcap33" folder into the PillarsOfEternityII_Data Folder, but it still shows "190000 - Max" at lvl 20. Then I copied the contents of the levelcap33 folder into the data folder, still the same. Help is greatly appreciated. EDIT: I think I figured it out. I put the levelcapraise.gamedatabundle into the gamedata folder. However, when loading a savegame I get "There was an error loading the next map. Returned to Main Manu to prevent save game corruption". Do you know of a fix? Version 4.0.1.0041. Do I have to put the mainfest.json somewhere as well? There is already a json-file like this, but I don't know if I can just overwrite it. Sorry, I messed this up a bit with the purist version. Basically, with the original version you extract the "override" folder to the PillarsOfEternityII_Data Folder. With the purist version, you extract the "levelcap33" folder to the PillarsOfEternityII_Data/override Folder. If there is no folder called "override" in PillarsOfEternityII_Data then just create one first. Strange. It gives an error, broken files. Is it safe to install this mod mid-game? Love the mod. Can you do one that only impacts ability gain and nothing else post level 20? 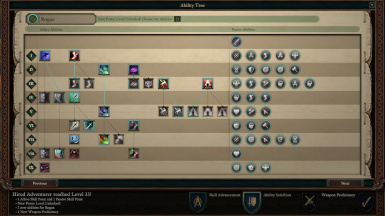 In other words you can add up to 13 more abilities (spells/passives) and skill points (alchemy, mechanics, religion) but no increase in power level?